The decision to elect hospice care is never an easy one, whether for yourself or loved one. Comfort Choice representatives are available to answer questions and provide information to help make your decision as peaceful and stress free as possible. Still have questions or need more information? Contact Comfort choice today at (323) 965-2263. Q: When should hospice care be considered? A: Hospice care is suitable when a patient is diagnosed with a life-limiting illness and can no longer benefit from medical treatment, with a prognosis of living six months or less. When curative treatments are no longer an option, hospice provides palliative care for the patient. Palliative care is designed to keep patients stable and comfortable in their final days. A Comfort Choice Hospice Care representative would be happy to talk with you about the hospice option. Q: Does insurance cover hospice care? A: There are several options available for financing hospice care. Medicare – If the terminally ill individual is a Medicare beneficiary, hospice is a covered benefit under Part A. All other Medicare services continue under Parts A & B, including those of the person’s attending physician. Hospice payments do not interfere with any other Medicare payments for other illnesses, diseases or care. 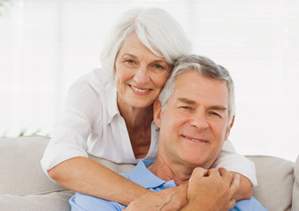 Private Insurance – Most private insurance plans many managed care plans offer a hospice benefit. In most cases, the coverage is similar to the Medicare benefit. Tricare – Tricare is the health benefits program for military personnel and retirees. Hospice is a fully covered benefit under TRICARE. Only Medicare-certified hospices can provide for the TRICARE hospice benefit. Private Pay – If insurance coverage is unavailable or insufficient, Comfort Choice Hospice is happy to discuss payment options and payment plans. Charity Care – Under Medicare law, no person may be refused hospice care due to inability to pay. Each hospice has a financial specialist on staff to answer questions about receiving financial assistance. Funds may be available from donations, gifts, grants or other community sources to help cover the costs of care. A: Certainly. Patients can be discharged from hospice and return to curative treatments if their condition improves and the disease seems to be in remission. Q: What should hospice pay for? A: Hospices should pay for anything that is related to the “terminal diagnosis.” For example, if a patient is receiving hospice care because they have heart disease, then any medications or equipment related to heart disease should be paid for by the hospice. Medicare is becoming increasingly strict on ensuring hospices are paying for everything that may be related to the diagnosis. Hospice typically pays for most medications and durable medical equipment (DME) such as oxygen, basic wheelchairs and hospital beds and mattresses. Additional items may include specialty equipment, medications or supplies that may be particular to the reasons the patient is on hospice. Q: What if a patient lives longer than six months? A: A patient can continue to receive hospice care for as long as needed, so long as the doctor continues to believe that life expectancy is six months or less. Hospice services would be discontinued if the patient’s condition has improved and prognosis is no longer poor or the patient chooses to discontinue hospice care. A: Hospice care is designed to address the patient’s physical, as well as spiritual and emotional needs. Nurses and doctors provide symptom relief with medication and medical devices, and physical and occupational therapists can help patients remain as active as they wish. Recreational support such as art and music therapy, massage, and diet counseling may also be available. Finally, various counselors, including clergy, are available to assist family members as well as patients. Q: Is hospice available 24 hours a day, seven days a week? A: Comfort Choice Hospice is available seven days a week, 24 hours a day. We have nurses and support services such as social workers and chaplains on-call who will respond within minutes, if necessary. Q: Can hospice care be provided to patients who reside in nursing facilities? A: Yes. Hospice services can be provided to a person who has a terminal life-illness wherever they may reside. A: Hospice neither hastens nor postpones dying. Hospice offers support and specialized knowledge during the dying process. Still have questions about hospice care and whether it’s the right decision for you and your family and loved ones? Contact us today for more information and answers to all of your questions and concerns (323) 965-2263.